Powerful V8 engines, generous towing and cargo capacities, simple interior controls, hybrid model’s fuel economy and power. The big news for the 2009 Dodge Durango is the addition of a hybrid model that combines V8 power with V6-like fuel efficiency. For the regular Durango line, the 5.7-liter Hemi V8 makes more power for 2009 with no fuel-economy penalty, thanks to cylinder deactivation. Sirius Backseat TV is now included with the rear-seat entertainment system. 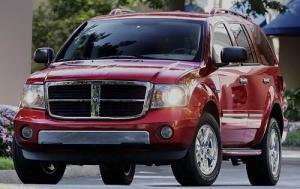 The Adventurer trim level has been discontinued, while the SXT trim level is renamed SE. Unmatched ride quality for a truck, well-made interior, nifty storage spaces, powerful Hemi V8, loads of interior space. Weak base engine with poor fuel economy, five-speed-only transmission, optional touchscreen’s jumbled stereo menus. The 2009 Dodge Ram 1500 has been fully redesigned. Highlights include a new rear suspension design, updated styling, more power and up-to-date technology. Starting MSRP $21,520 – $43,490. The redesigned 2009 Dodge Ram 1500 emphasizes aerodynamic styling with a unique “grille-forward” design, ride comfort with a coil-spring rear suspension and storage innovation with the RamBox. 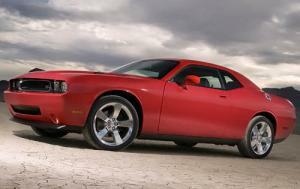 Dodge also addressed the basics with more power in the Hemi engine and a radically improved interior. Starting MSRP $20,925 – $29,335. The Dodge Journey is an all-new crossover that’s available in five- and seven-seat versions. Available with four-cylinder or V-6 power, the Journey can have either front- or all-wheel drive. It hits dealerships in the first quarter of 2008 and faces a number of competitors, including the Ford Edge, Hyundai Santa Fe, Subaru Tribeca and Toyota Highlander.